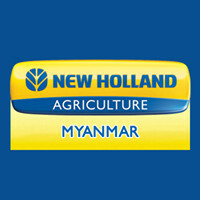 To establish the company as the leading agricultural , power and construction equipment supplier in Myanmar. We operate mobile service teams from our workshops at our branches. Trained technicians equipped with all the necessary tooling are available to any technical problems you may experience with your New Holland. "New Holland Agriculture: A global Leader"
New Holland Agriculture is a truly global brand, incorporating the knowledge and expertise of companies that have changed agriculture around the world. New Holland is focused on using Global Technology to support and developing agriculture sector all around the world since 1985. We became the Clean Energy Leader in 2006. In Myanmar, formed a partnership with SPA group established Convenience Prosperity Co., Ltd., a division of Yoma Strategic Holdings Limited since 2012. We build legendary products at our manufacturing network that spans all over the world. Our distribution network of about 3,000 dealers ensures our customers in 170 countries around the world receive the correct advice, products and services they need for the success of their farming business. • INNOVATIVE. It is about being a driver of change in the way we work, live and connect to others. It is about being a forward thinker. We continue to improve on the way we do things. • DYNAMIC is a vivid expression of the passion, the commitment and the positive approach that New Holland puts in everything it does. It is about keeping our eyes open to capture new opportunities, deeply living with our present, but always looking for the next challenge. • SMART is a distinctive character for New Holland. Through the wildest range of products, our intelligent and sustainable use of technology, our best price/equipment ratio, New Holland sets itself as the smartest choice in agriculture.